The current Dalai Lama is the 14th Dalai Lama, and has been in power since 1950. His teachings and leadership have been proven incredibly popular and effective, and by 2013, he had become the joint most popular world leader. I think everyone should hear the quotes of the Dalai Lama in order to be enlightened. As I’m currently living in Bali, Indonesia, the first quote on the list really applies and actually became my favorite straight away. For any of you that know the struggle, the first quote on this list will probably become one of your favorites too! Here are 37 of the most inspirational Dalai Lama quotes for spiritual enlightenment. 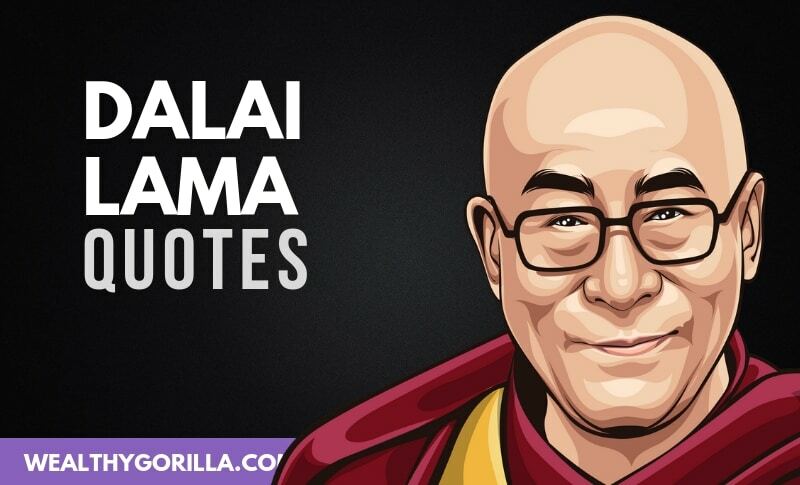 Thanks for checking out this awesome collection of inspirational Dalai Lama quotes. I think you can tell which of the quotes was my favorite on the list, but which is yours? Do you have a favorite Dalai Lama quote? Leave a comment below. All of these quotes are great, but this one right here… sometimes, it’s better to just shut your mouth. You want to say something, you want to prove your point, but you need to consider what you’ll actually get by doing so. I think you’ll find a lot of the time you’re better off just not saying anything at all. I love that! It’s literally a choice and it changes how we feel.